Introducing Halley Station (75°34′S 26°34′W), located on the 150m thick, continually moving, Brunt Ice Shelf in Antarctica. Named after the Astronomer Edmond Halley, the current station (Halley V) is the fifth to be built. 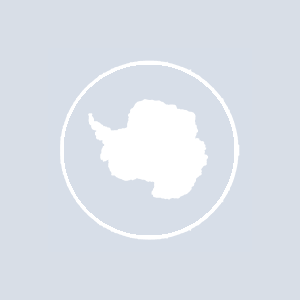 It is the British Antarctic Survey’s most remote research station and has been operational since 1956 (established by the Royal Society for the International Geophysical Year, 1957–58). Halley Station (also known as Base Z) has presented itself in many forms since those first buildings in 1956. The extreme environment challenges even the most thought out buildings. Blizzards and snow drifts eventually bury any structures left on the ground and the constant movement of the ice shelf compresses any structures under the surface, making these buildings eventually unsuitable for use. Halley V station, taking six years to design and build, is a combination of platform buildings on steel legs that can be jacked annually to keep above the accumulated snow and two large buildings mounted on skis that can be moved to new locations. As the ice shelf is a constantly moving medium, the life of Halley V is coming to an end and in June 2004 the British Antarctic Survey (BAS), together with the Royal Institute of British Architects, launched a design competition for Halley VI. The winning design, by Faber Maunsell and Hugh Broughton Architects, is series of structures raised on legs on to which skis are fixed to the bottom, allowing the buildings to be relocated. Building of this new station has begun at Halley V and we have been privileged to see this exciting new project develop. Scientific investigations are the purpose of our presence here in the Antarctic. Many of the studies begun in 1956 have continued uninterrupted ever since, providing invaluable long-term data sets. Studies at Halley include atmospheric sciences, glaciology and geology and it was datasets collected here that helped the BAS scientists discover the ‘ozone hole’ in 1985. This discovery led to the Montreal Protocol which banned the use of ozone damaging chemicals — CFSs. As a result the hole is now expected to repair itself over the next 50 years. Currently our weather data is sent via satellite to forecasting stations in the northern hemisphere for immediate use, and it also provides a climatic database to help in the understanding of climate change. Together with 10 other people I am lucky enough to be part of the elite Winter Team at Halley V for 2009. Our winter begins when the last supply vessel, the Royal Research Ship Ernest Shackleton departs from the edge of the ice shelf in late February and we are essentially on our own until the first planes arrive in late October. There are no opportunities to leave during this time, and we reliant on the combined abilities of our team mates and the resources we have around us. By the first of May the sun will cease to rise above the horizon and we will rapidly move towards experiencing 105 days of total darkness. The temperatures will drop; so far we have had a cold April with the lowest temperature reaching −51°C, and the winds will keep us ‘locked’ inside the buildings (often weeks at a time) as the sheer force of the wind and horizontal snow make it unsafe to move around outside. Science continues through the winter months with the one scientist we have this year conducting the tasks often in trying weather conditions. Weather balloons are launched relentlessly at the same time in the morning six days a week, weather observations are carried out every three hours and weekly snow and air samples are collected. Before we lose the light, and when it returns, we are able to experience many of the wonders of this unique environment. We have trips to visit the nearby Emperor penguin colony, seeing both the adults and newborn chicks. If we are lucky enough to be there early in the season, we will also see the adult males incubating the eggs on their feet. This is a truly breathtaking sight, and there are no words to describe the gentle majesty of these birds. As we exist on a flat landscape, the scope for climbing is somewhat different in contrast to what most experienced outdoor guides would feel comfortable about, we seek the odd crevasse to climb in and explore. We have excellent outdoor equipment and will also spend time camping out at different locations on our winter training trips. This winter we hope to provide some insight into living and working in one of the most extreme environments on this planet. We will introduce some of the people here in this extreme environment and also highlight the importance of the continued study of our planet and understanding of the impact we have on it.